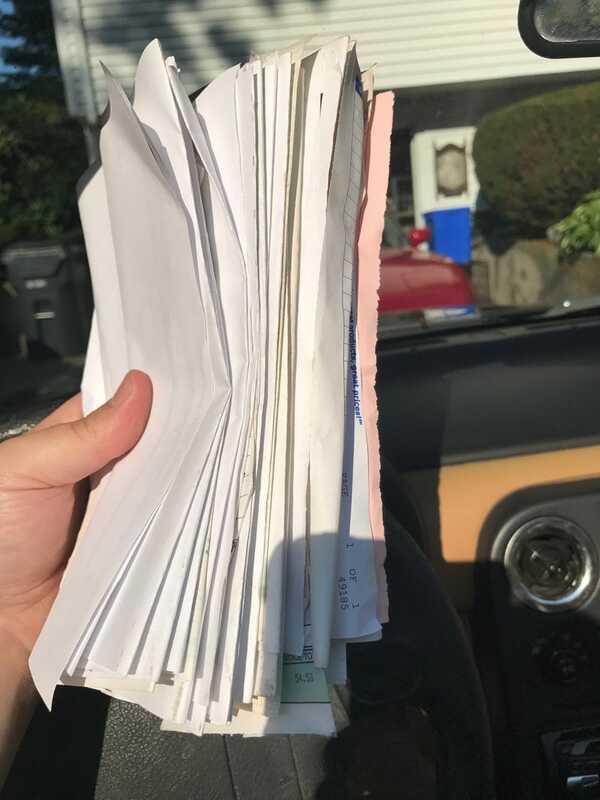 ...of receipts with your $300 car. A lot of recent work, brakes and at least one caliper, and what appears to be removal of the AC compressor...I’m going to have to look under the hood and confirm that. It had AC new, I don’t know why you’d remove it entirely but track car, so I don’t really care. Whatever though, I paid less for the car than the PO paid for its last service apparently.